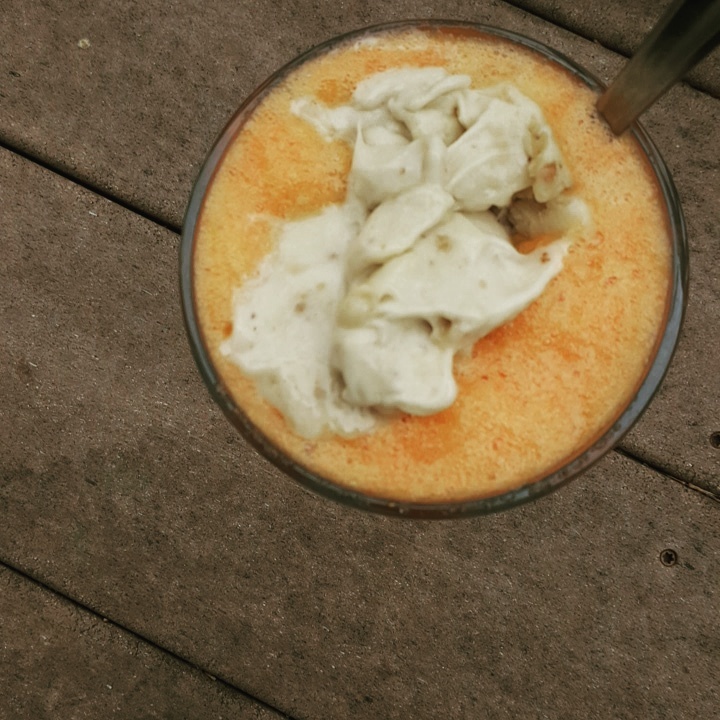 Here’s a healthy twist for an ice Creamsicle float. I do miss certain things I used to have as a non vegan, so I love when I come up with a healthier version of it leaving me guilt free after eating it. This was so good and healthy because it’s made with fresh orange soda. No I didn’t use those soda machines I simply used Seltzer and fresh orange juice. First I threw an entire peeled orange in my vitamix and made a fresh orange juice. I added that to a glass and added in 1 cup of Seltzer water. Then I made banana nice cream simply by blending 1 frozen banana in my vitamix until it was a creamy nice cream.